To painlessly assist the doctor in cavity detection. This service is complimentary. To painlessly treat canker sores and fever blisters. Treating fever blisters at the very early signs of eruption can mimimize the size of blisters, and prevent recurrence after 2-3 treatments. This service is about $60 per session. To reshape gums and remove benign tumors with minimal discomfort. To eliminate strong intraoral muscle attachment. Different methods can be used to change or enhance the appearance of teeth including composite fillings/bonding, porcelain crowns, bridges or veneers and teeth whitening and properly aligned teeth. 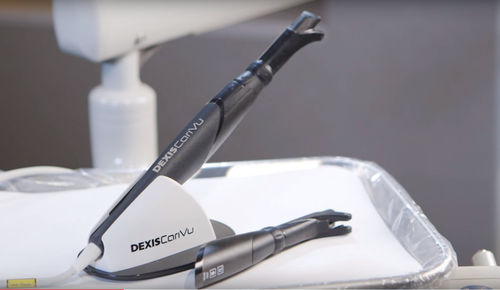 Cari-Vue is a strong light with an intra-oral camera that shines through the teeth and really shows in between cavities, fractures, and more. It is a super enhancement to x-rays and questionable problems. CariVue aids in the detection of caries. Even very small lesions and incipient caries can be detected, enabling you to protect and preserve the tooth substance with minimally invasive fillings. Proven to be over 90% accurate in caries detection. 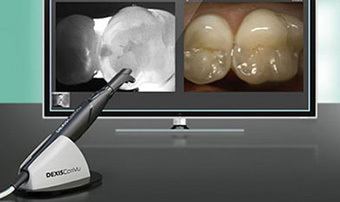 It allows monitoring of cavity progression. This really is the cutting edge of conservative, minimally invasive, dentistry. If you’ve ever endured having a dental impression made using liquid materials, then you know the process can be messy and unpleasant. For years, we’ve had no other choice but to use goopy trays to create dental impressions for orthodontic work. 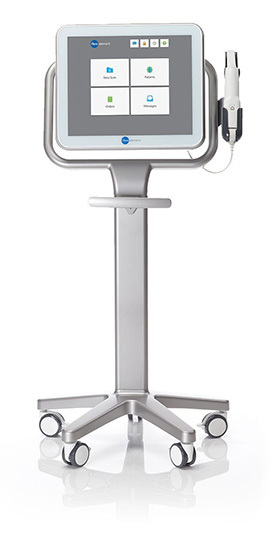 Now, we’ve taken the next step in creating a more convenient and comfortable experience for our patients with the iTero® Dental Scanner.